Buy this product and get all free gifts below. GlamPal is an innovative styler that creates all the styles you want with one slide motion! With standard plates the GP201 curls, waves or straightens, nothing is too much for this styler. Great for people with short to medium-length. 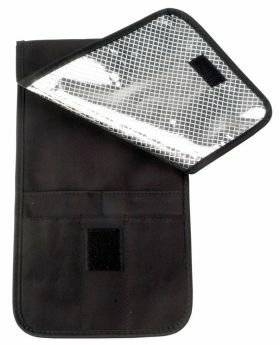 No heat-protector necessary - Virtually no damage! 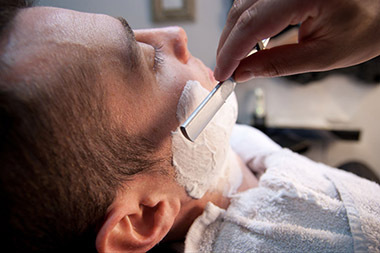 GLAMPALM's unique heat plate prevents the pulling of hair through an advanced ceramic coating treatment that represents a significant improvement over exisiting anodizing* method. It is an electrolytic passivation process used to increase the thickness of the natural oxide layer on the surface of aluminum alloys. 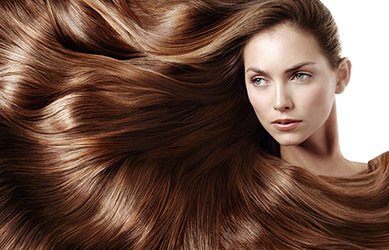 By emitting far-infrared ray and generating amions from its ceramic coating, which is made of a mixture of natural materials including mineral and alumina power, GLAMPALM prevents hair damage and makes hair softer and glossier than ever. Thank to efficient heat transfer properties, you can create satisfying hairstyles even at lower heat plate temperautes for outstanding "treatment effect" and improved safety. 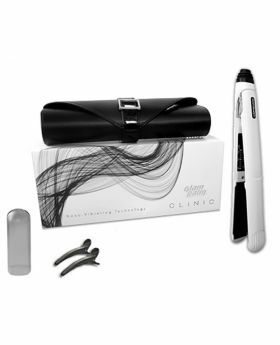 Through its ceramic heater and digital MICOM heat control system, GLAMPALM’s initial heating speed is 26 seconds faster than other existing hair irons’ 120 seconds. Adopting the world’s first “twin control system,” heaters are controlled individually to maintain the desired temperature, thereby saving time and maximizing hairstyling efficiency. 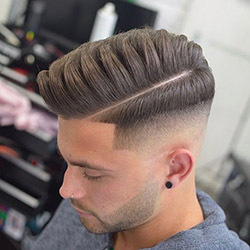 Owing to its even heat transmission and quick heat recovery time, a simple sliding motion allows you create any hairstyle and maintain it for a long time. The optimally-sized heat plate allows users to create various hairstyles, while the rounded body is ideal for sculpting straight, curly and wavy styles. *The auto shut-off feature has been changed from 30 minutes to 60 minutes on all units manufactured after October 2009. The 360° swiveling ball-type cord makes hairstyling easier and more comfortable, while preventing twisting and knotting of the cord. Designed for use in salons, the cords on GLAMPALM stylers are firmly attached to the body for extra durability, convenience, and product lifespan. The extra-long 3-meter cord allows stylists a wide circle of movement without hindrance for the optimum styling conditions. 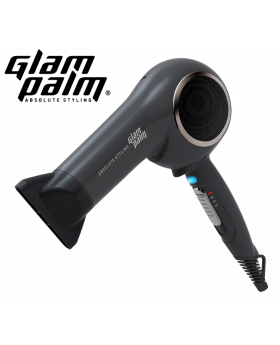 With its rated operational voltage of 100 to 240 volts and 50/60Hz (Hertz), you can use your GLAMPALM styler anywhere in the world. 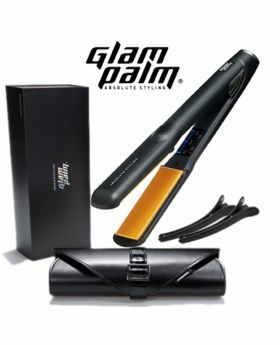 Thanks to the free-voltage feature, GLAMPALM stylers are the ideal overseas travel item, as well as the perfect gift for relatives and acquaintances overseas. With the heat resistance cap located on the front, heat transferred to the hands is minimized, thereby increasing user comfort and safety. 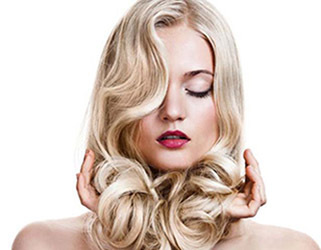 Chosen by 70% of hair salons all over the world including U.S., Europe, Japan and Korea, GLAMPALM’s styling technology is recognized as second to none. 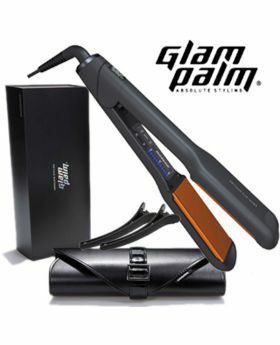 GLAMPALM hairstylers are designed to fulfill the requirements of domestic and international safety certification agencies in all regions including Europe, the U.S. and Japan. 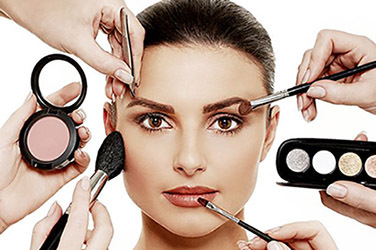 The level of electromagnetic wave blocking and overall product reliability surpass International CE standards, demonstrating GLAMPALM’s world-beating technology. Through adjustable temperature settings, users can set the exact level of heat they want. The black exterior finish and the sleek design convey quality and elegance, while the streamlined body free of unnecessary parts provides maximum ease of use.